This outstanding, individually built five bed detached villa is located in a highly regarded and up market cul-de-sac with beautiful woodland views to the rear. The fabulous split-level property has been tastefully decorated and finished throughout with superior fixtures. 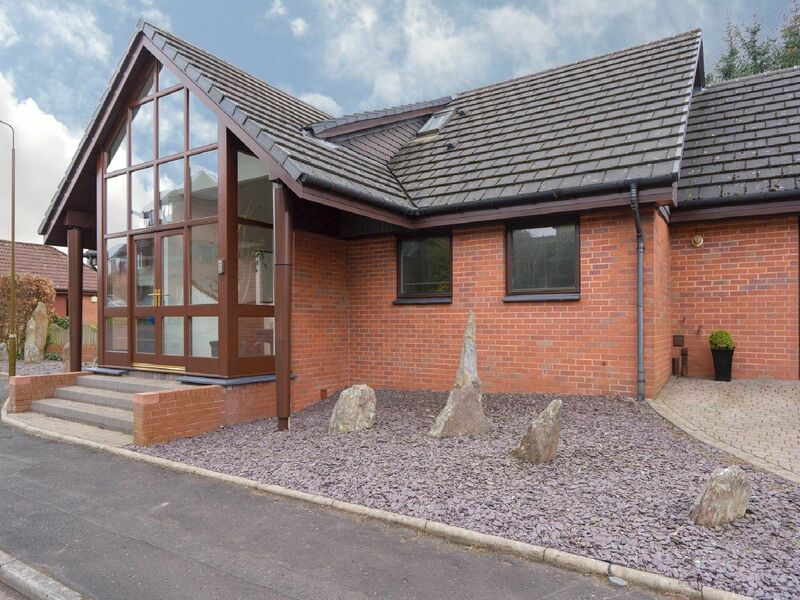 Located on the outskirts of Falkirk town in James Croft Drive, the property has the convenience of all local amenities yet has the benefit of being on the doorstop of the beautiful Lionthorn woods, popular for walking and other leisure pursuits. On the market for offers over £460,000. A contemporary kitchen with a range of base and wall units in high gloss. The island housing the sink with mixer tap and the integrated dishwasher. Warm hardwood flooring and painted white walls give this hallway a bright feel to it. Warm hardwood flooring and painted white walls give this hallway a bright feel to it. The full fronted glass window give the room lots of light. One of two sitting rooms in the house with lots of room and a natural colour scheme.